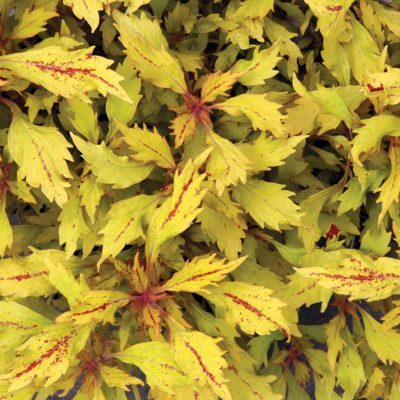 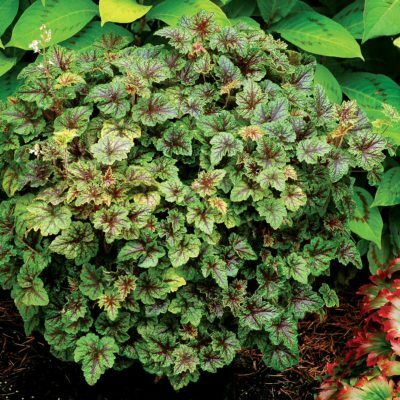 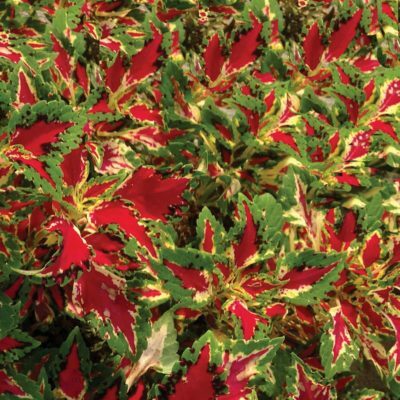 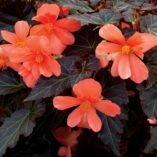 Begonia COCOA™ ‘Enchanted Sunrise’ | TERRA NOVA® Nurseries, Inc.
Large, salmon-orange blooms contrast beautifully with the dark chocolate leaves and lime-green veins. 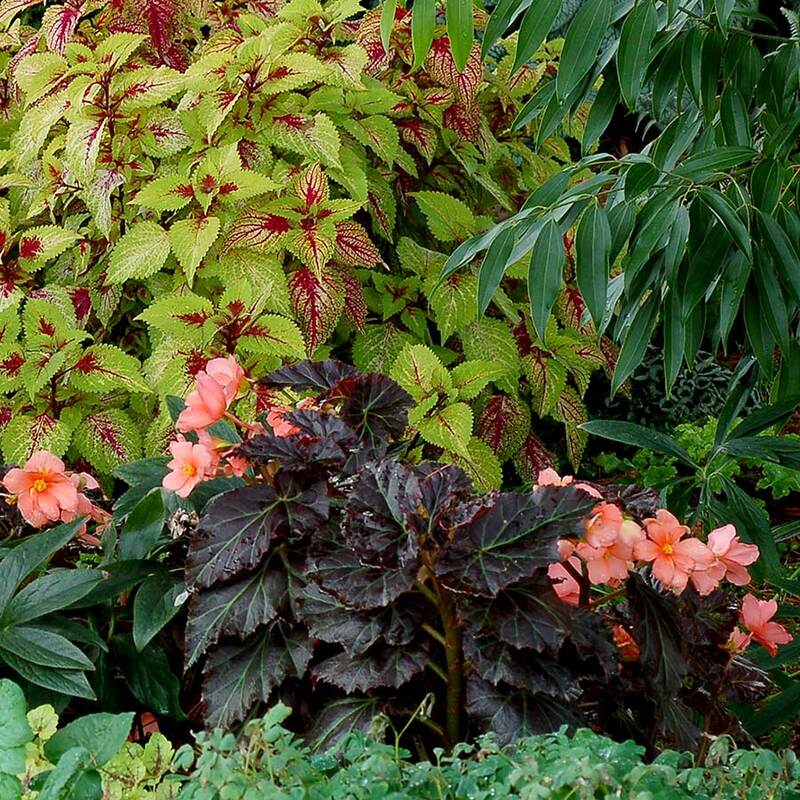 Glamorous and elegant in mixed shade containers or on the border in garden beds. 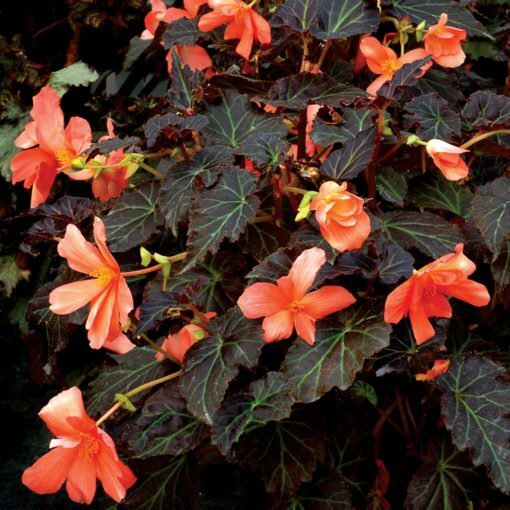 It is also a fabulous houseplant and even blooms during the winter. 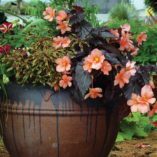 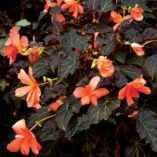 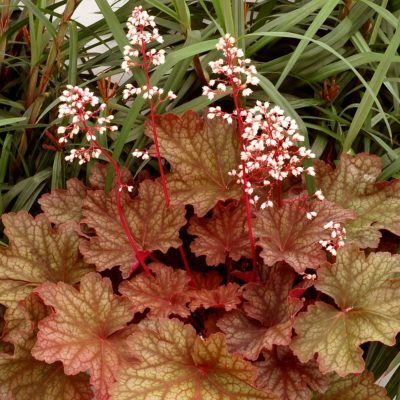 Only upright begonia with dark brown foliage with large, salmon-orange flowers. Use as a houseplant or in mixed containers or in summer borders in east exposure part sun. 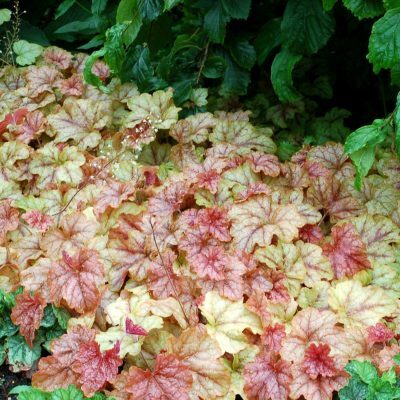 Has survived here in Canby, Oregon for 4 years in the ground, mulched.